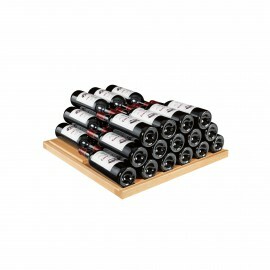 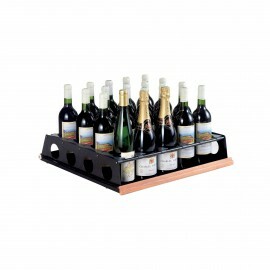 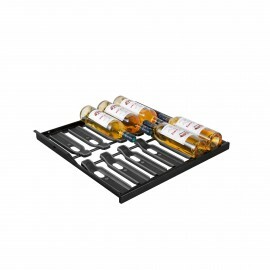 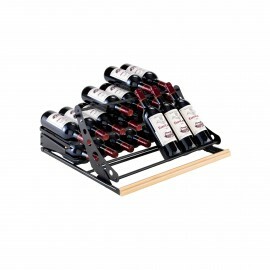 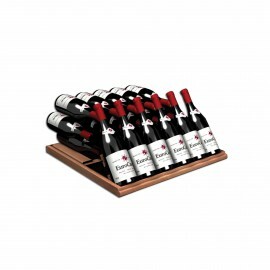 - On the display shelf, showcase up to 6 bottles in front, and use the rear space to store other bottles. 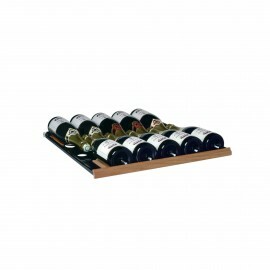 As an option, you also can choose the premium shelves : improved ease of use, improved bottle protection, easier bottle identification, a choice of finishes light oak or glossy black... 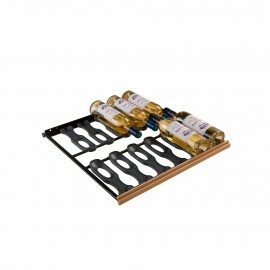 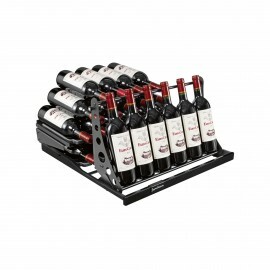 These shelves offer you the very best features for your wine. 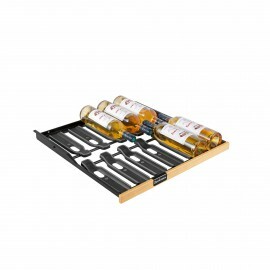 Shelves are delivered with fixing parts.